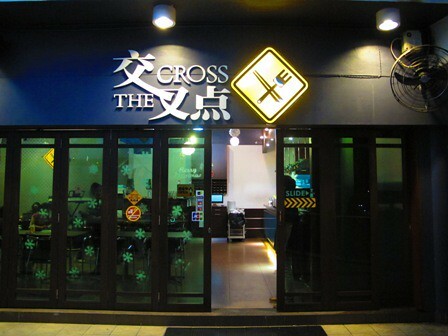 In Citymall, located a level above Starbucks, next to Sushi King, The Cross Cafe serves both Western and Asian cuisine. Catering mostly for youngsters, the Cafe provide a comfy ambiance with some board games, card games as well as some magazines for the use of its patrons. Braised beancurd swimming in dark sauce with minced pork. It is a simple dish with great flavours. Sweet and sour fish is one of those fairly ubiquitous dishes that you can always order in any restaurants in KK. A simple yet satisfying dish consist of deep-fried fish fillet with sweet and sour sauce. A hearty and filling dish, Stir-fried Koay Teow, is a popular dish you can find in Malaysia. The charred aroma as a result from stir-frying in fierce fire, made the koay teow tasted extra delicious and satisfying. 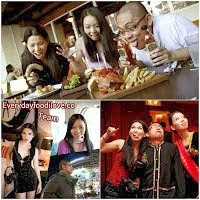 Only simple ingredients such as chicken, bean sprouts, carrot, choy sum and egg were used to stir-fried the Koay Teow.